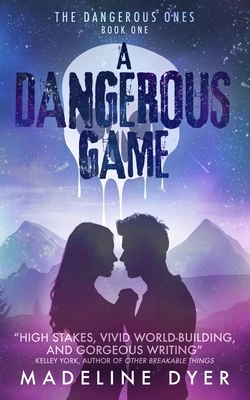 WHEN LIFE'S A GAME, LOVE IS A DANGEROUS MOVE.All her life, adrenaline-junkie Keelie Lin-Sykes has known what she wants: to protect her brother and sisters by killing as many of the soulless Enhanced Ones as she can. Oh, and to have fun while she's doing it. After all, hiding in a secret Untamed community, while the group's Seer warns them of danger, shouldn't mean that life can only be serious, right?But when a face from her past suddenly--and secretly--shows up, Keelie's catapulted back into the very world she's been trying to escape from for the last ten years: a world of guilt, lies, and...love. And the deeper Keelie gets, the bigger the risks become.Now Keelie must play the most dangerous game of her life if she's to continue protecting her family. But this game--and her love--may just destroy her.